We present an extension of Voronoi diagrams where when considering which site a client is going to use, in addition to the site distances, other site attributes are also considered (for example, prices or weights). A cell in this diagram is then the locus of all clients that consider the same set of sites to be relevant. In particular, the precise site a client might use from this candidate set depends on parameters that might change between usages, and the candidate set lists all of the relevant sites. The resulting diagram is significantly more expressive than Voronoi diagrams, but naturally has the drawback that its complexity, even in the plane, might be quite high. Nevertheless, we show that if the attributes of the sites are drawn from the same distribution (note that the locations are fixed), then the expected complexity of the candidate diagram is near linear. To this end, we derive several new technical results, which are of independent interest. In particular, we provide a high-probability, asymptotically optimal bound on the number of Pareto optima points in a point set uniformly sampled from the d-dimensional hypercube. To do so we revisit the classical backward analysis technique, both simplifying and improving relevant results in order to achieve the high-probability bounds. The authors would like to thank Pankaj Agarwal, Ken Clarkson, Nirman Kumar, and Raimund Seidel for useful discussions related to this work. We are also grateful to the anonymous SoCG reviewers for their helpful comments. Work on this paper was partially supported by NSF AF award CCF-1421231, and CCF-1217462. 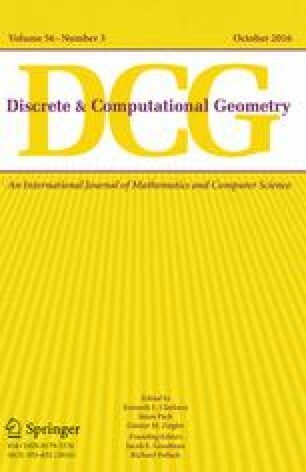 A preliminary version of the paper appeared in the 31st International Symposium on Computational Geometry (SoCG 2015) . The claim follows by tedious but relatively standard calculations. As such, the proof is included for the sake of completeness (Fig. 4).